Has Pokémon GO taken over your life yet? The augmented-reality game is everywhere, and tales both good and bad are popping up in the news cycle daily. But what is it, exactly, and why is it so appealing to so many people? While plenty of adults play Pokémon GO, I decided to ask the biggest Pokemon fan I know—my 13 year-old stepson, Liam—to explain the game in his own words. To get a slightly wider picture, I decided to ask a few additional kids to chime in, also. Here’s what I learned. 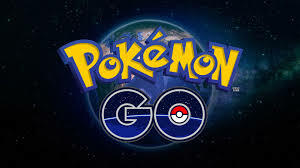 Liam, 13: Pokémon Go is a new game made for mobile phones and tablets where you travel and find Pokémon and catch them and you can battle with other people. Montez, 10: Pokémon Go is an app that you have to walk around and catch some of the Pokémon characters, it has a little tab that will have a Pokémon on it. Hazel, 13: Something where people can explore and find Pokémon, where you’re not just sitting on the couch, but you have to go outside and do it. Holly, “almost 14”: It’s an app where you walk around outside or in public places and “catch Pokémon” which appear sometimes based on the environment, weather, or time of day. You can battle with other people, and join one of three teams. Holly: A Pokémon will appear on the map, you click on it, and it appears on your screen with the actual background of where you are in the background. 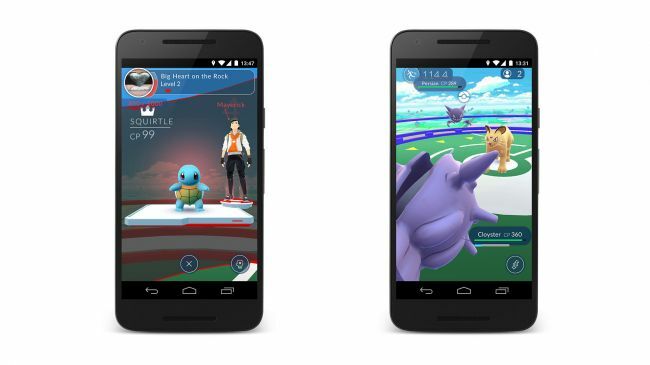 Gyms are controlled by a team, but that changes based on who wins what battles. (You battle at gyms.) PokeStops are significant areas that show a picture of the area. You can spin the picture to get either Pokeballs, eggs, or other things to heal your Pokémon. Liam: You enter the game and look for Pokémon. When one pops up, tap it and enter a battle with it. Pokémon will be in middle, ball at bottom, flick the ball up toward the Pokémon. It will shake three times, and then stars will appear if you catch it. The smaller the circle, the more accurate the catch is. Green is easy, yellow is average, and red is hard. Gyms are these spots like PokeStops that are at certain locations. If there’s an empty gym, you can claim it. Battling and defeating a gym member will kick that member out of the gym because they have been defeated. And once you beat all the gym members, then it will be empty and you can claim it. There are three teams. Red is Team Valor, their goal is to reach the hidden powers of Pokémon and break limits and to make Pokémon do the best they can do and reach their hidden abilities. Blue is Team Mystic. They are trying to find out what is the cause of Pokémon evolution, and how many there are. Yellow (Instinct) focuses on speed in battling. They like high speed Pokémon. (Editor’s note: From my own research, it looks like Team Valor is driven by thirst for power, Team Mystic is driven by wisdom and logic, and Team Instinct is driven by trust in the Pokemon. Read more about it here. What’s the best thing about Pokémon GO? Hazel: That you can find trails that you wouldn’t normally go on, and go places where you wouldn’t normally explore. Holly: The best part, in my opinion, is that it’s getting people to go with their friends and walk around. It also is helping many people with anxiety, depression, etc. by improving their mental health. Montez: The best part of Pokémon Go is that people get to walk around and communicate with people who are also playing Pokémon Go. You can just go up to some of the people and ask if they are playing Pokémon Go and they will either tell you yes or no. Liam: The best part is the collecting and the battles because it’s fun and competitive, just like a videogame should be. Because if it’s competitive, people get into it and are addicted, and it’s fun! What’s your least favorite part about it? Liam: The fact that they don’t have any Legendary Pokémon in it yet. That would really get people hooked onto the game. Legendary Pokémon are extremely rare Pokémon that can be caught in special ways. They are extremely powerful and they each have their own advantage. Holly: My least favorite part is the fact that servers crash a lot, some PokeStops have incorrect info from other apps, and there are barely any Pokémon near my house. Hazel: That you can’t see other players, like when you’re playing with your friends. You can’t see their avatar. Montez: My least favorite part about Pokémon Go is that you need to go to some locations that are called a Pokestop or a gym and that may be in a police station or even a cemetery. Where is the coolest (or strangest) place you’ve gone to capture a Pokémon? Holly: I haven’t gone to many crazy places yet, but I have walked around my neighborhood and Hamilton Town Center. Montez: Well I haven’t been too a lot of places only to the park, the coolest Pokémon that I caught was a Pikachu. Who is your favorite person to play the game with (i.e., mom, friend, etc.)? Montez: My favorite person to play Pokémon is my mom, she is always there when I need her. Holly: My favorite person to play with is any of my friends. Which Pokemon is your favorite? And/or, which is the best one to capture? Liam: My favorite is Mew. It’s not in Pokemon GO, but it should be because it’s so adorable. It’s rated #1 Cutest Pokemon Ever. You can look it up on the internet! The best one to capture in this game is Tauros. I’d say that because I hatched it from an egg and it was 163 combat power (that’s really good for a newborn Pokemon)! Montez: My favorite Pokemon character and the best Pokemon to catch is a Snorlax. Holly: So far, my favorite is Eevee and I don’t know much on which ones are best yet, I apologize. Hazel: I can’t get my favorite one, which is Glacion, because they don’t have that in the game yet. But I do have an Eevee, who evolves into Glaceon. The best one to capture is Magikarp, because Magikarp is boss. If you are interested in learning more, please register for our upcoming webinar: Pokémon GO @ Your Library! This blog post was written by Beth Yates, Professional Development Librarian.